100 Percent Soccer Column: Frustrated with the lack of American success on the international level? Get used to it. Messi miss: Argentine superstar Lionel Messi reacts to his penalty kick miss in the final of the Copa America against Chile (Associated Press). Failure is far more common than success as even the likes of top-tier soccer nations like Argentina, England and Mexico have discovered — and puts public frustration with the U.S. Men’s National Team into perspective. The Chilean national team celebrated its second straight Copa America title just a few feet away from a dejected Lionel Messi. The Argentinian striker missed his penalty kick en route to Chile’s 4-2 shootout victory after 120 minutes of scoreless play. #Messi: “Es difícil, el momento es duro para cualquier análisis. En el vestuario pensé que se terminó para mí la Selección, no es para mí”. 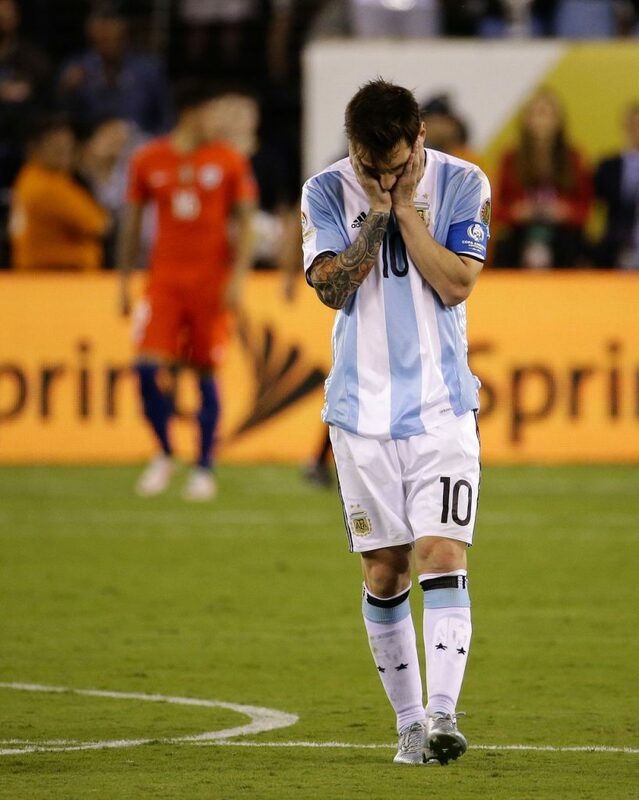 Despite his distinction as one of the best in the world, Messi has yet to win a major tournament for Argentina. 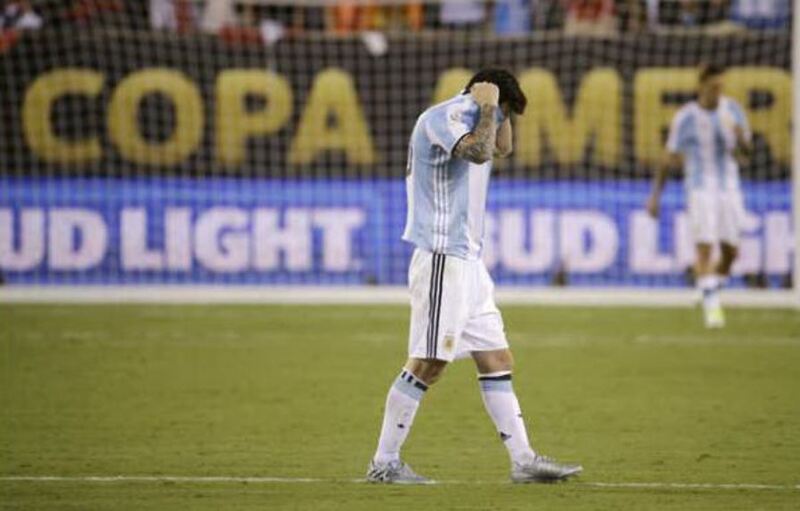 Sunday’s final was the second time in as many years that Argentina lost to Chile in the Copa America final on penalty kicks. 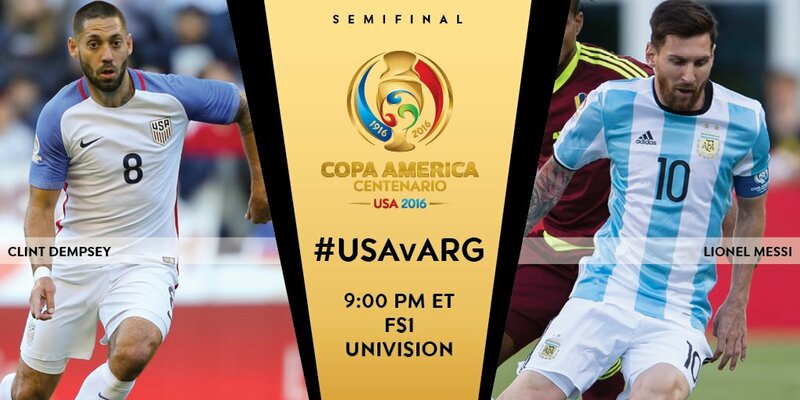 With the U.S. scoring their record TV ratings so far in the tournament for the Ecuador game, tonight’s Copa America semifinal against Lionel Messi and Argentina is sure to produce even higher viewership. Here’s a game preview and a list of just some of the many places in Southern California you can be sure will show the game. Guess the oddsmakers took notice of Lionel Messi’s three goals in 19 minutes the other night. 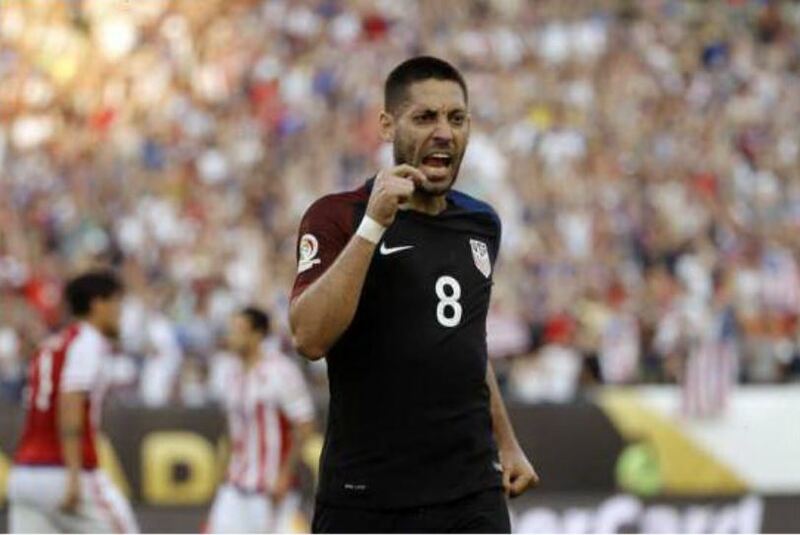 One week ago, the U.S. men’s national team was facing elimination. By Saturday night, the United States topped its group. With a 1-0 win over Paraguay and Costa Rica’s stunning 3-2 win over Colombia, the Americans locked up not only their first Copa America quarterfinal berth since 1995 (and second ever) but also the top spot in Group A. This is the first time the United States has ever advanced out of the group stage at a major tournament after losing the first game. 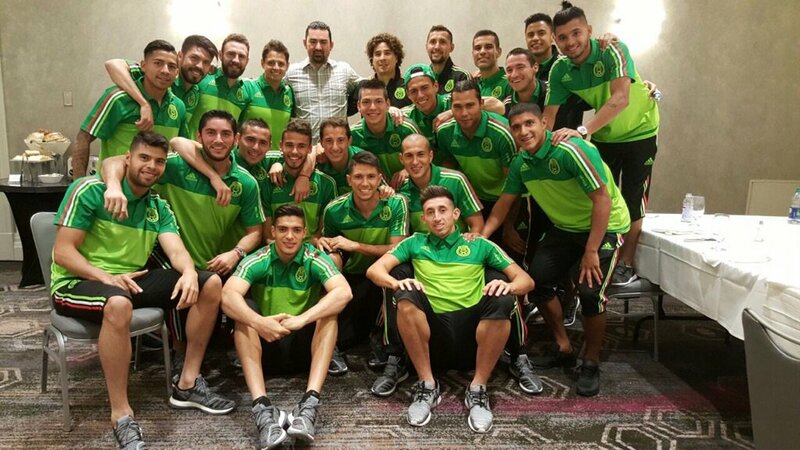 Dodgers first baseman Adrian Gonzalez met the Mexican national team in Los Angeles before the team’s Copa America game against Jamaica at the Rose Bowl on Thursday. See the Mexican-American baseball player’s meet-and-greet with the team via Facebook live. El Tri clinched a spot in the quarterfinals as Javier Hernandez scored to pull within one of tying Mexico’s all-time scoring record. The Mexican national team will feel right at home in Pasadena on Thursday night in front of what is expected to be a large, overwhelmingly pro-Mexico crowd at the Rose Bowl. After a 3-1 victory over Uruguay, Mexico will play CONCACAF foe Jamaica at 7 p.m. with a chance to clinch a Copa America Centenario quarterfinal berth. If El Tri wins, they secure a top-two finish in Group C.
The game is a rematch of the 2015 Gold Cup final when Mexico won 3-1 in front of yet another boisterous green, red and white-clad crowd in Philadelphia. The stakes for Jamaica are high as the island nation would be eliminated from quarterfinal contention with a loss. However, Jamaica forward Giles Barnes, who plays for the Houston Dynamo, said the potential for elimination is not on the team’s radar. Mexico has a 20-game unbeaten streak, the longest active streak in the world. The Reggae Boyz have only four wins against Mexico in their history, with the most recent coming in 2008 in World Cup Qualifying. 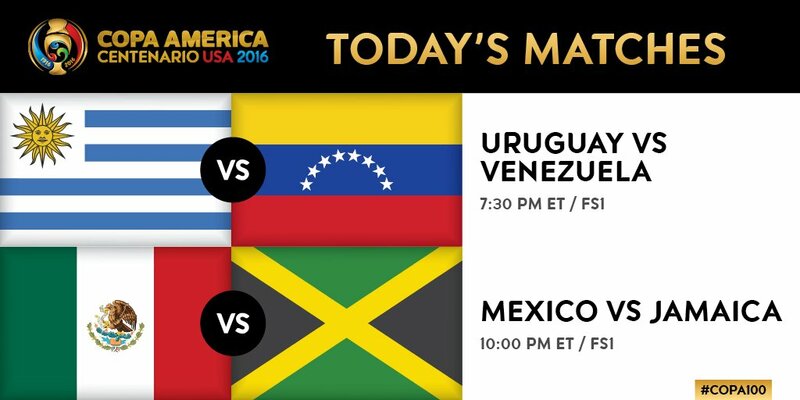 Playing in its second straight Copa America, Jamaica has yet to earn a single point in a Copa match. The team lost 1-0 to Venezuela in its opening game this year and lost all three of its group games in 2015 by the same score. There is a difficult task ahead, but Jamaica coach Winfried Schaefer said his team is not afraid of the challenge. He remembers how his team was able to sway some of the Mexican supporters at last year’s Gold Cup and earn their applause by the end of the match. He hopes the game in the Rose Bowl will end with similar praise, but a different result.